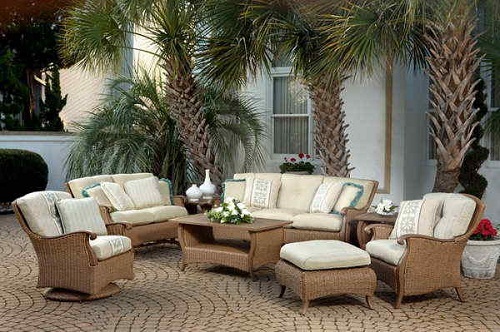 Tommy Bahama outdoor furniture are household name in casual living, provides the customer with wide range collection of outdoor furniture in different style of design. 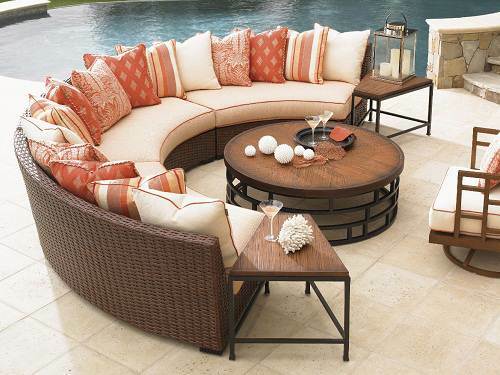 The furniture is crafted meticulously from quality materials to create excellent outdoor furniture where you can relax comfortably in style. 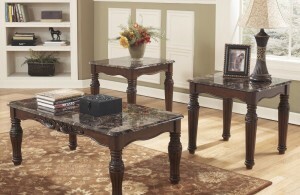 Such quality furniture, however, needs proper care and maintenance to ensure it durability. Aluminum: For furniture with aluminum frame, tops and based simple and easy maintenance are needed. It is recommended to clean them twice a year with water and mild soap solution. For extra care you may apply a premium quality automotive wax for the cleaning. All Weather Wickers: for general care of all weather wicker you can them with solution of one gallon of warm water to two tablespoons of mild liquid soap applied using soft cloth. Avoid using hard chemical cleaners such as alcohol based protectants/ cleaners, janitor cleaner, solvents, petroleum based products, bleacher, scouring agents and ammonia based cleaners. Cushion: Don’t let spills and dirt settle in the cushion by cleaning minor spill with a damp cloth and mild soap. Clean thoroughly with clean water to rinse any residual soap on the material. Remove the excess water by patting the cushion dry then let it air dry. Don’t use bleacher or any other hard chemical cleaners. Do not dry clean the cushion. 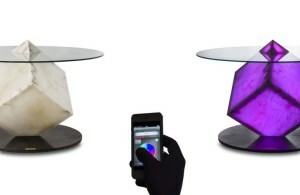 Try to store the cushion indoors when not used to preserve colors. It worth to note that the application of supplemental fabric treatment may to some Tommy Bahama outdoor furniture may void the warranty thus highly not recommended. Frame general care: To avoid water accumulated in the frame and created damage, drain any water by turning the frame on its side and upside down before storing it. Damage caused by standing water is not covered by Tommy Bahama outdoor furniture warranty, so pay extra attention to it. Glass Tops: Simply use water and mild soap to clean glass tops. 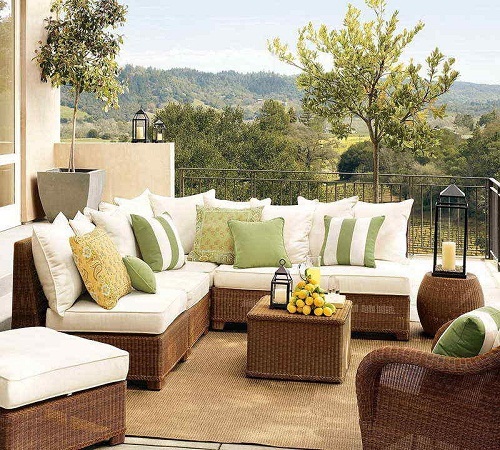 It is recommended to use outdoor furniture cover when the outdoor furniture is not in use. Weatherstone™ Top: One of the flagship products of Tommy Bahama outdoor furniture Provides durability and natural stone best attributes: stain resistant, UV resistant as well as protected with polyurethane sealant that makes it easier to clean and maintain and also uniquely strong thanks to its unique composite material of concrete and fiber glass. However there are still some things you can do to preserve and extend the life of Weatherstone™ Top such as: be careful when transporting the furniture to avoid any crack or damage, clean it regularly with solution of water and mild soap, and store the furniture indoor when not used.